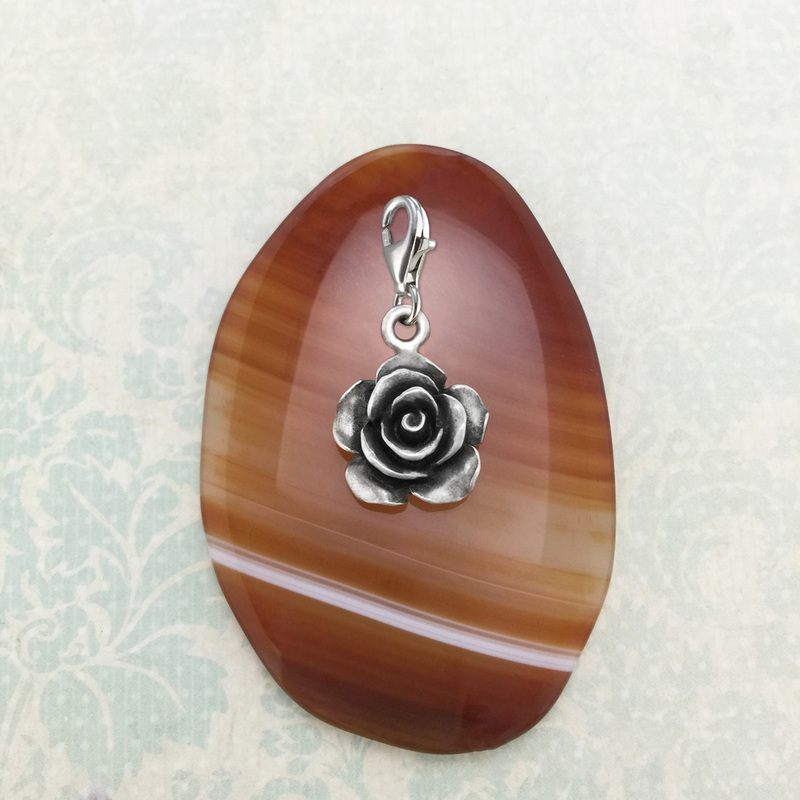 Intricately detailed rose charm. Made in Australia out of the finest lead-and-nickel-free pewter. 15mm x 19mm (without clasp).